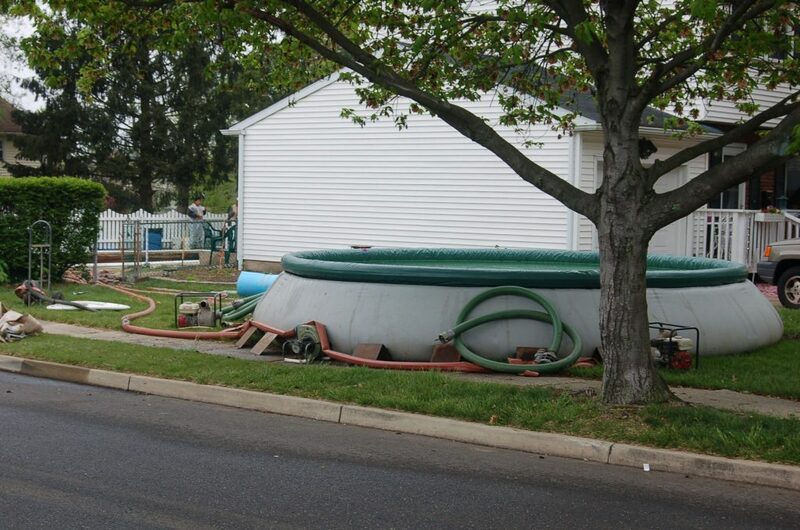 Saving the pool water begins with setting up inflatable holding tanks. 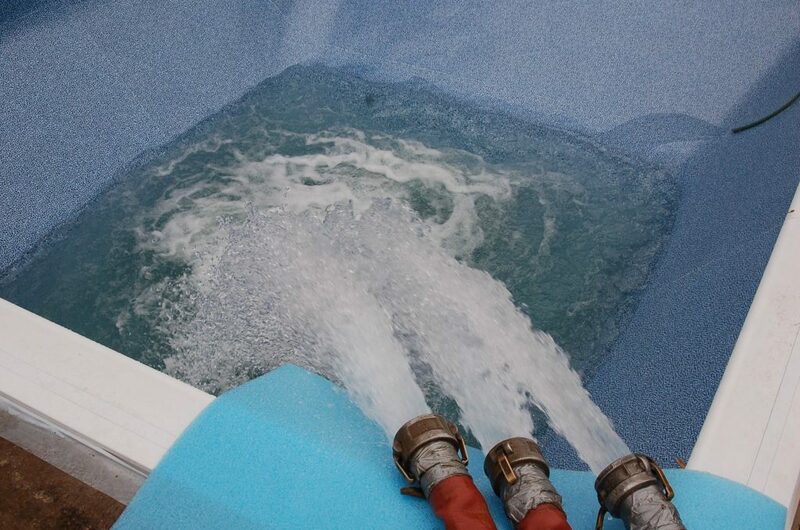 Simultaneously, the pumps are positioned to remove the water from the pool into the tanks. 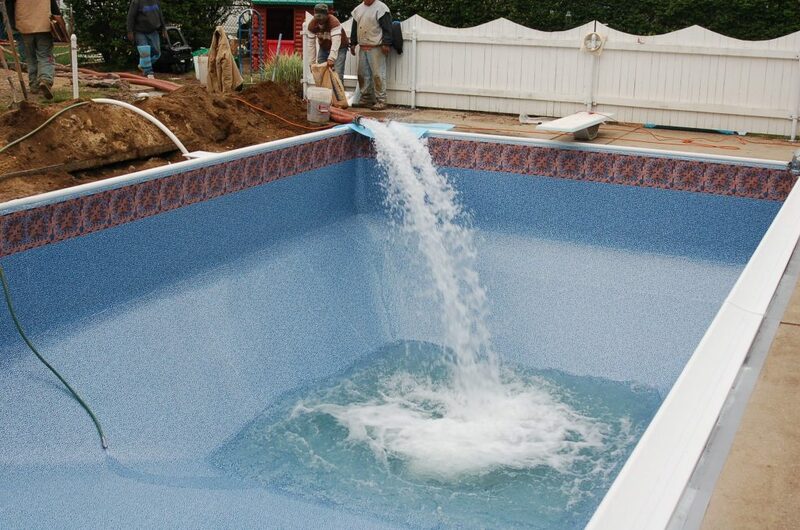 While the water is being pumped out, removal of the liner begins. 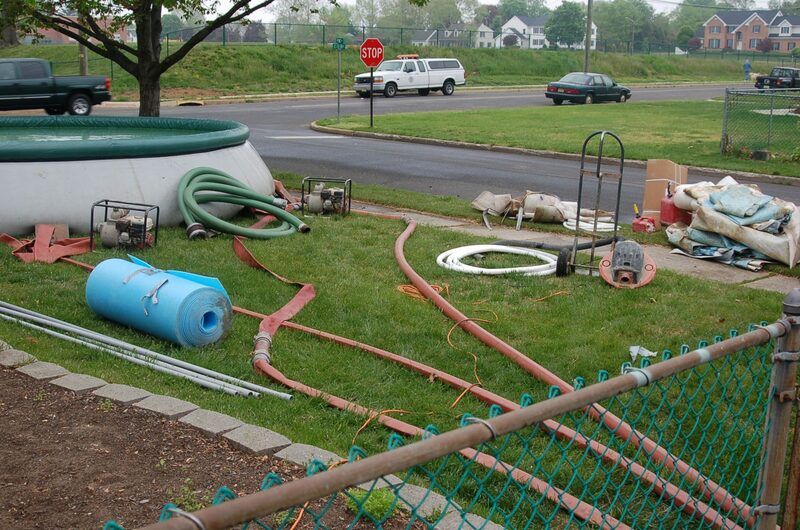 After the useable water is transferred, the sludge is discarded. 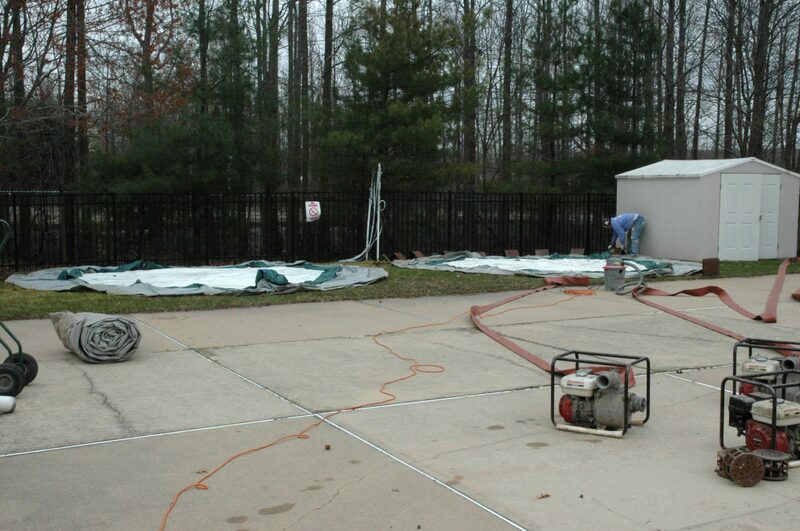 For the amount of time the pools are being used, generally 8 to 12 hours or less the grass is not damaged in any way. In rare instances where we have had to leave the tanks there for an additional day, there is still no damage done to the grass.